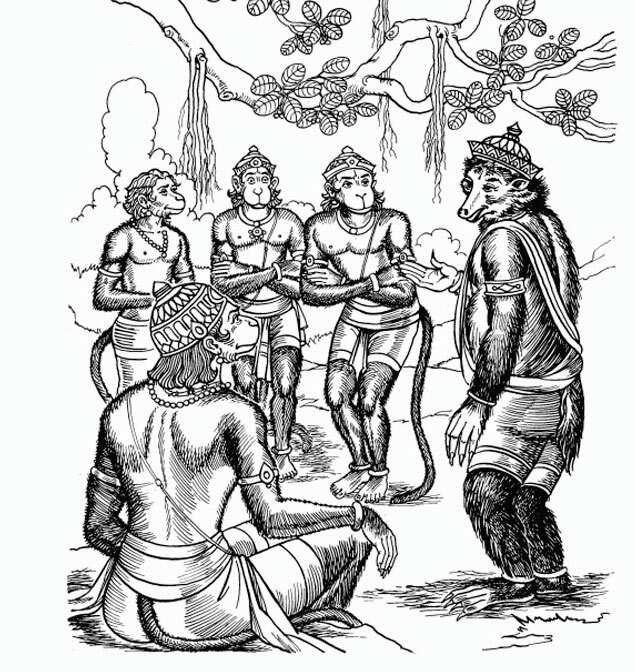 Jambavan (that’s him on the right) was a hero from Indian mythology, a man forced to live as a bear, but granted as consolation a long life and the strength of ten million lions. When we had the chance to open a restaurant in Warwick within sight of the castle and saw the iconic Bear & Staff emblem, it was Jambavan that instantly came to mind. The two bears represented our vision: we wanted to bring our guests the best of both worlds: traditional, home-cooked Indian dishes in an historic building but with a contemporary ambience. And to match the flavours and spices of our thought- and palate-provoking dishes, we wanted to offer a unique and comprehensive selection of the finest locally crafted ales and beers, as well as seasonal signature cocktails and old and new world wines. Top of the list is our very own Jambavan India Pale Ale, which has been carefully crafted to complement the spices and aromas of the food we prepare. We invite you to come and explore our dishes and drinks and find your own favourite combinations. And we hope you enjoy the experience as much as we’ve enjoyed our journey to make it happen.